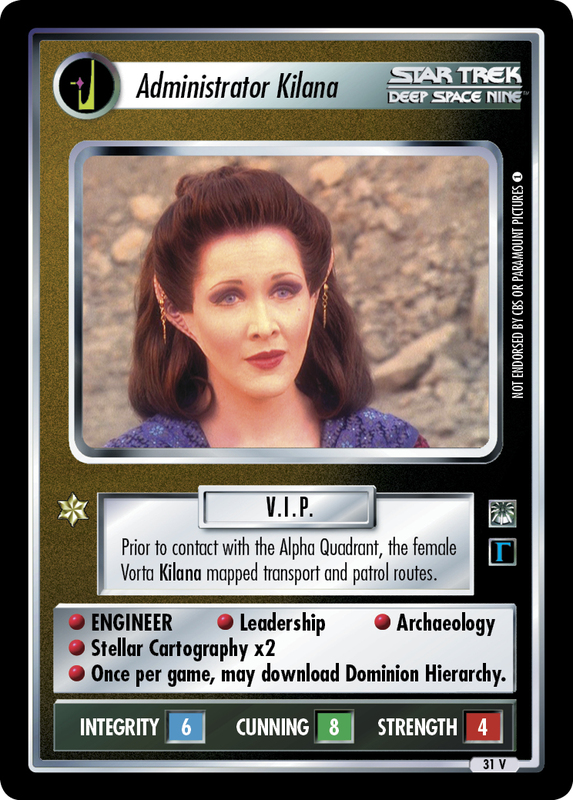 Female Vorta field operative. Dispatched to rescue an injured Founder shipwrecked on Torga IV. Distrusted Benjamin Sisko long enough to fail her mission.